If you want to improve and aren’t actually looking for individual golf lessons, then my group golf lessons may be the perfect solution for you. Ladies Group Golf Lessons/Social Mornings at Spawell each Thursday. Walk-in Evening Group Golf Lessons at Spawell each Wednesday. 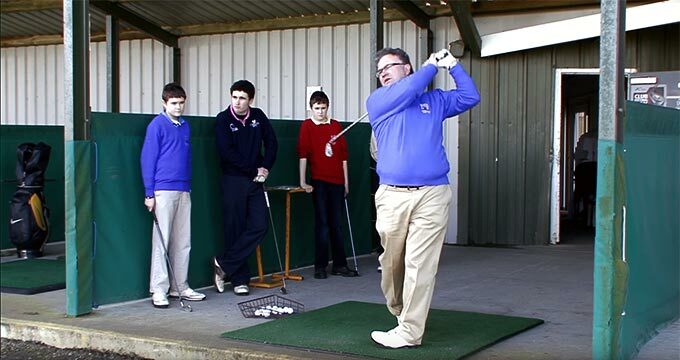 Junior Group Golf Lesson at Naas each Saturday. My Ladies Group Golf Lessons take place at Spawell each Thursday from 10 a.m. to 11 a.m. They double up as a social morning and ladies of all standards are welcome. These lessons focus on learning all the fundamentals and improving on various aspects of it. For new players, they can also serve as an introduction to the golf course environment, and to the etiquette involved. 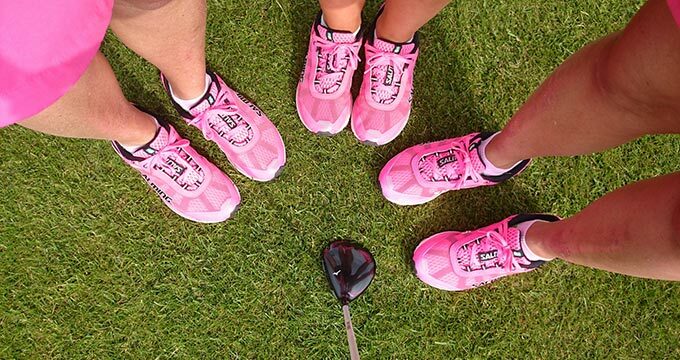 There is always a focus too on ensuring that the ladies who attend enjoy their golf each time they go out to play. We follow the Lessons by going for coffee and a chat – about golf, and all manner of other things! Overall, these lessons are a great way for ladies to improve their game and have an enjoyable, sociable time while doing so. The cost of these lessons is €18 per person. This includes a bucket of 60 balls. These take place at Spawell each Wednesday from 8 p.m. to 9 p.m. They are open to both men and women of all standards. Any single lesson may involve a broad range of topics or may concentrate on a smaller number. It depends on the wishes of the group attending on that particular evening. There is also time for individual questions and advice. The cost of these lessons is €15 per person. The price of balls is not included. My Junior Group Golf Lessons take place at Naas Golf Range each Saturday from 5 p.m. to 6 p.m.
All young players are welcome. Again, any single lesson may involve a broad range of topics, or may concentrate on a smaller number. It depends on the wishes of the group attending on that particular day. There is also time for individual questions and advice. There lessons are a great way for young players to improve their game and make new friends while doing so. The cost is €10 per person (not including balls). Booking for my group golf lessons is not strictly necessary, but to avoid disappointment, I recommend that you always reserve your place in advance. This also helps me to better manage numbers and to plan the lessons accordingly. You can reserve your place either through my online booking system or by contacting me directly. I look forward to working with you, and to helping you become a better golfer!